Bangladesh's One Day International (ODI) captain Mashrafe Bin Mortaza on Tuesday urged all to take pragmatic step to protect the environment from all sorts of pollution, reports BSS. "The level of environment pollution in the country is very high, especially in the Dhaka city. Many industries in and around the capital city are responsible for both water and environment pollution which needs immediate step to stop the irregularities," said Mashrafe. Sabuj Paribesh Andolon, a newly established environment organisation arranged the programme at Shawkat Osman Memorial Auditorium of Sufia Kamal National Public Library in the capital. Mashrafe called for conducting tree plantation programme throughout the country to make the country a greenery one. "If we cut a single tree, we will have to plant 20 more trees. Vigorous campaign is needed to make people aware about uses of dustbin to keep the environment neat and clean in the capital city," he said. 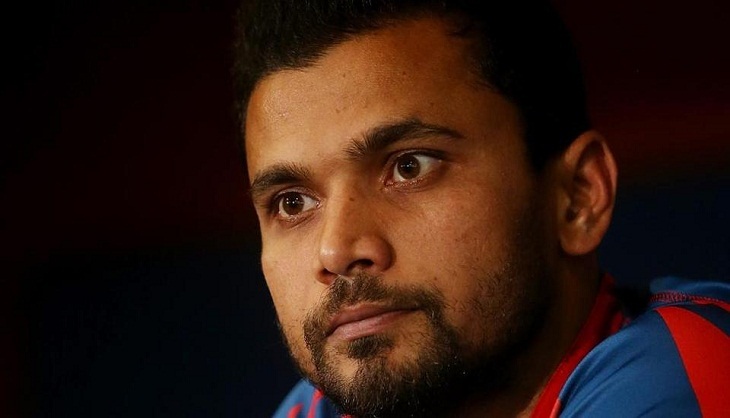 Urging the Bangladeshi cricket fans to be patient, Mashrafe said, "We are all upset for losing the Nidahas trophy. We must win in future"
Later, Mashrafe along with former Bangladesh Bank governor Dr Atiur Rahman inaugurated the website of the organisation titled 'Green Environment Bangladesh'. Former Dhaka University (DU) Vice Chancellor (VC) and former University Grants Commission (UGC)chairman Professor Dr AK Azad Chowdhury said that those who follow the ideology of Father of the Nation Bangabandhu Sheikh Mujibur Rahman should work to make the environment free from pollution. Pro-VC of DU Professor Nasreen Ahmad inaugurated the grand opening of Sabuj Paribesh Andolon. President of Forum of Environmental Journalists of Bangladesh Quamrul Islam Chowdhury and general secretary of Dhaka Reporter's Unity Syed Sukkur Ali Shuvo also spoke on the occasion. Forest and Environment Secretary of Awami League Delwar Hossain presided over the function.